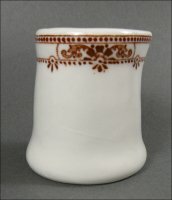 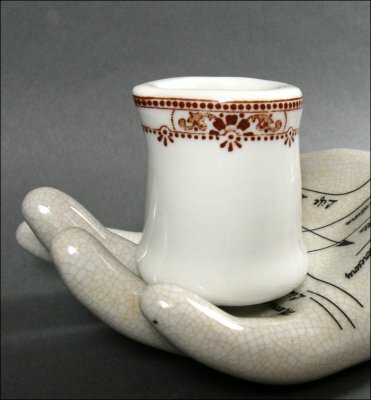 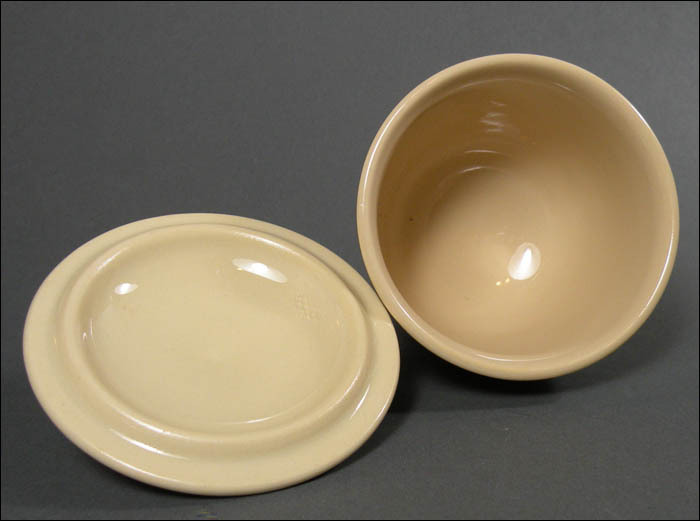 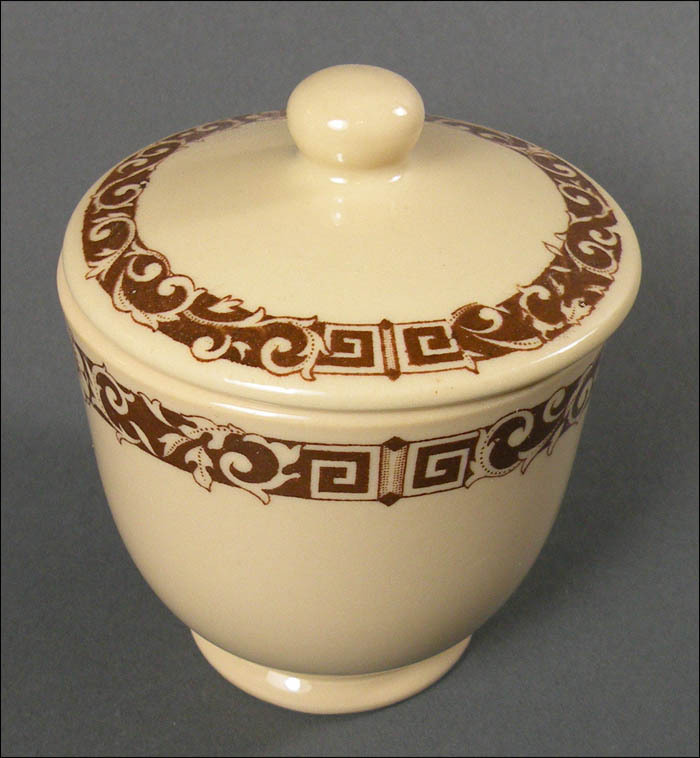 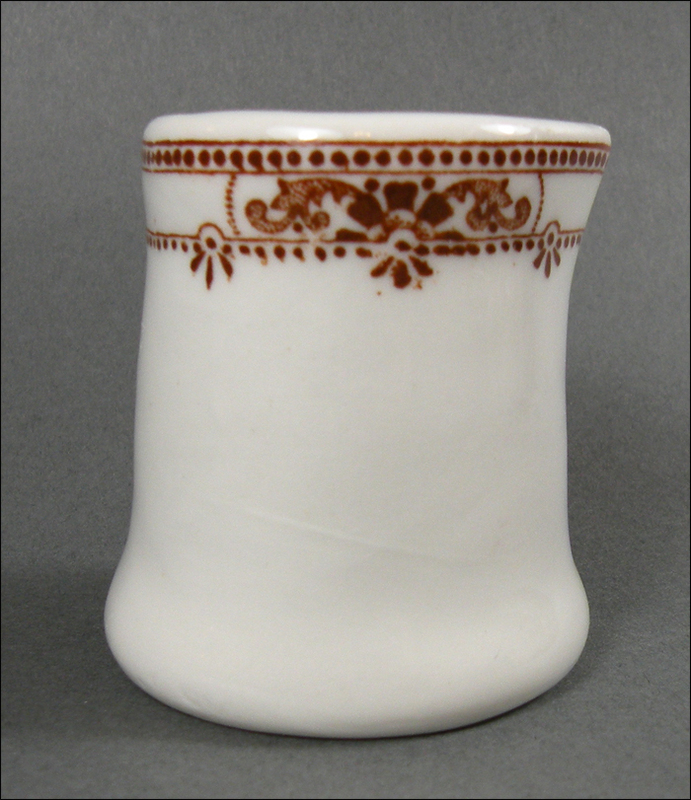 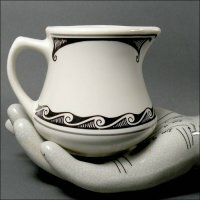 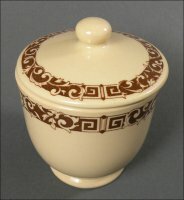 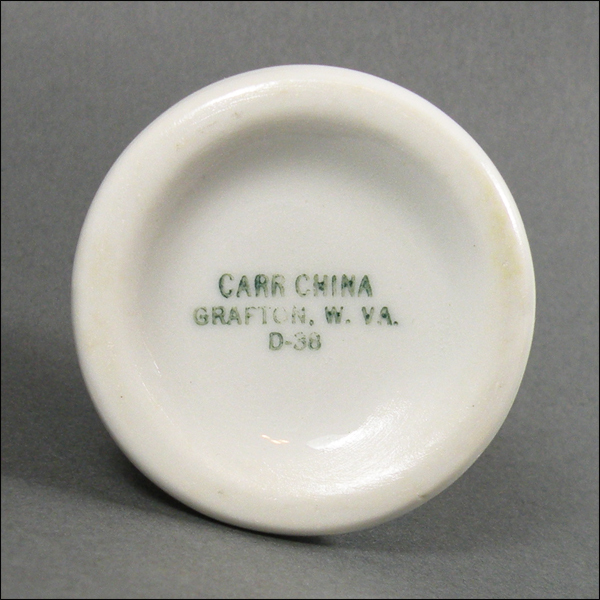 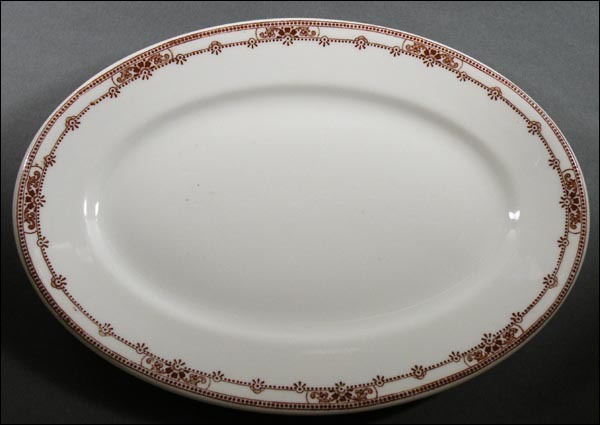 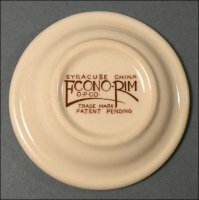 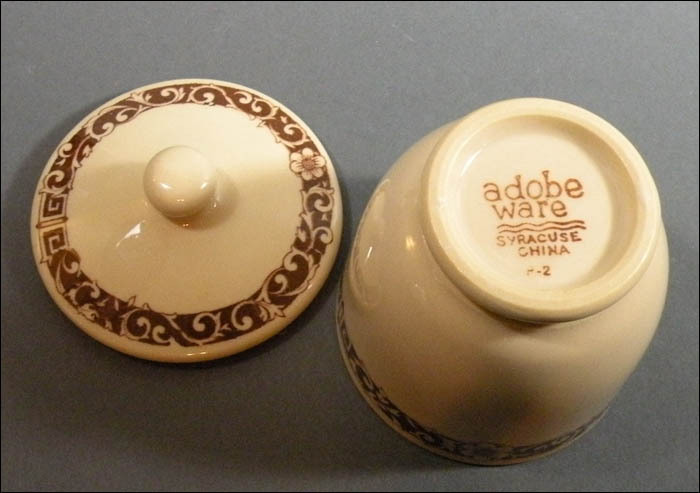 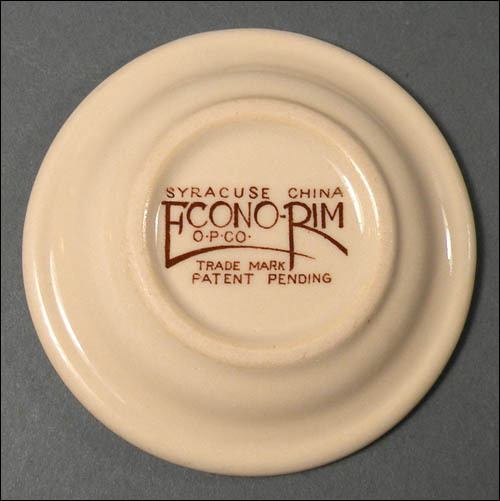 This lovely creamer by Carr China was made in brown in the Empire pattern on the plant’s white clay body. 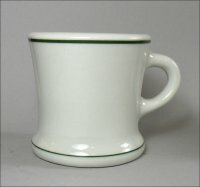 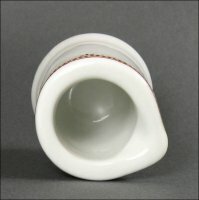 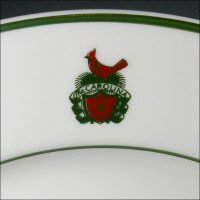 The creamer is 2” wide by about 2 1/4” high. 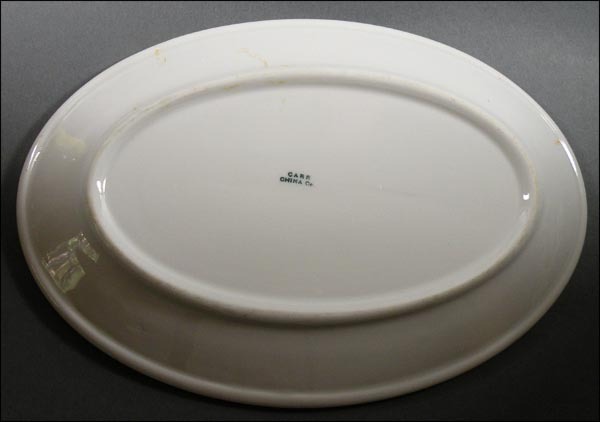 I have several of these, all in excellent condition, all with only light use marks.